This is a simple tutorial on how to make cupcake wrappers. These little wrappers are easy to create and make your cupcakes very decorative for any type of party. These wrappers are different then cupcake baking cups as they do not get baked and therefore do not turn out looking greasy or dull. 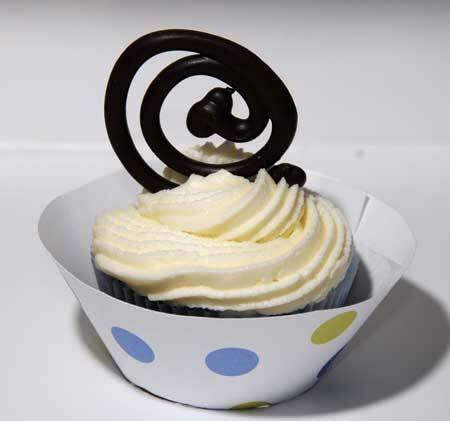 The wrappers give your cupcakes a fresh, more dressed up, party look to them. The most important thing you need to make wrappers for your cupcakes are fun, colorful sheets of 8 -1/2 x11 cardstock and your printer. 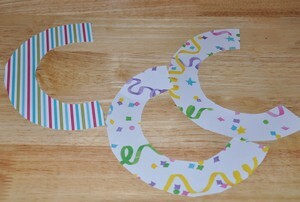 The design or pattern on your cardstock is what will set the tone for your cupcakes. If you are having a holiday party look for coordinating paper in Halloween, Christmas, Easter or whichever holiday you are celebrating. For a birthday party, look for bright fun designs in colors to match the party. Making wrappers for wedding cupcakes can work well too by finding elegant looking white paper or finishing off the wrappers with lace glued to the top. Before starting your decorating, buy cardstock paper that is 8- 1/2 x11 or paper that will fit into your printer. Using double-sided paper like the above picture works well, too. 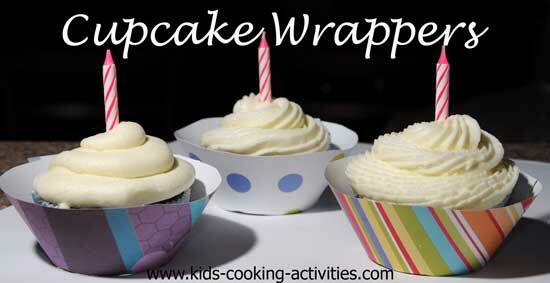 Here is how to make wrappers for your cupcakes. First, download this free cupcake wrapper pattern. Stock your colorful paper in your printer. 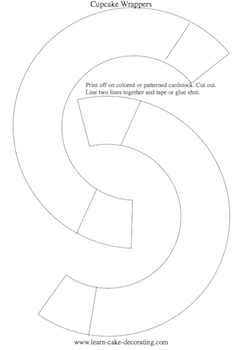 Print off as many wrapper patterns on your paper that you'd like to make. There are two patterns on one sheet. Cut out the pattern. If you'd like a fun decorative edge to the top use scrap-booking scissors to cut out the top edge. Match up the lines on your pattern and tape or glue in place. Bake your cupcakes, allow to cool. Frost and decorate. Place cupcakes in your wrappers and they are all dressed for the party.